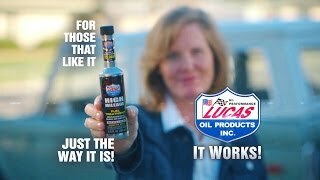 Lucas High Mileage Fuel Treatment is created specifically to restore lost power and performance in high-mileage vehicles. It cleans and lubricates fuel system components, removes valve deposits, lessens oil contamination and stops knocking and hesitation. Additionally, Lucas High Mileage Fuel Treatment works great in modern port-injected engines - maintaining maximum flow and providing lubrication to critical parts. CONTAINS NO ALCOHOL. OXYGEN-SENSOR SAFE.